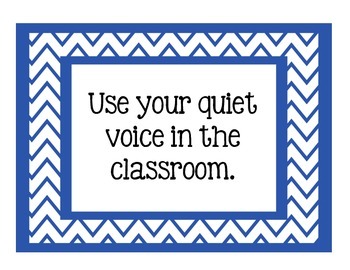 These simple but classic classroom rules posters will brighten up and add a touch of personality to any classroom! 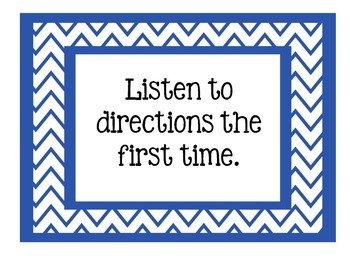 These posters are for use in any room - or to complete a chevron-themed classroom! Keep your students on track with these vibrant visual remembers. Chevron graphics designed by Graphics From the Pond (http://frompond.blogspot.com).